I don’t know much about babies, but I do know a lot about cookies and these are how I like my peanut butter cookies. It’s like they bake up just enough for the outside to form a crust and conceal the tender dough. This dough has two cups of peanut butter in it people, so it’s like the Richey Rich of peanut butter cookies. 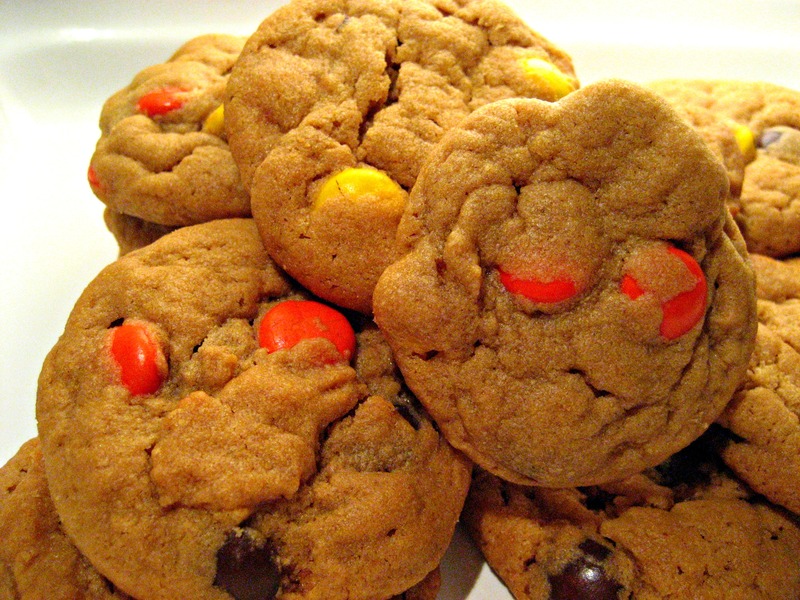 I think the softness of the cookie needs a little crunch to give it textural contrast, so I always add a bag of Reeses Pieces to these. 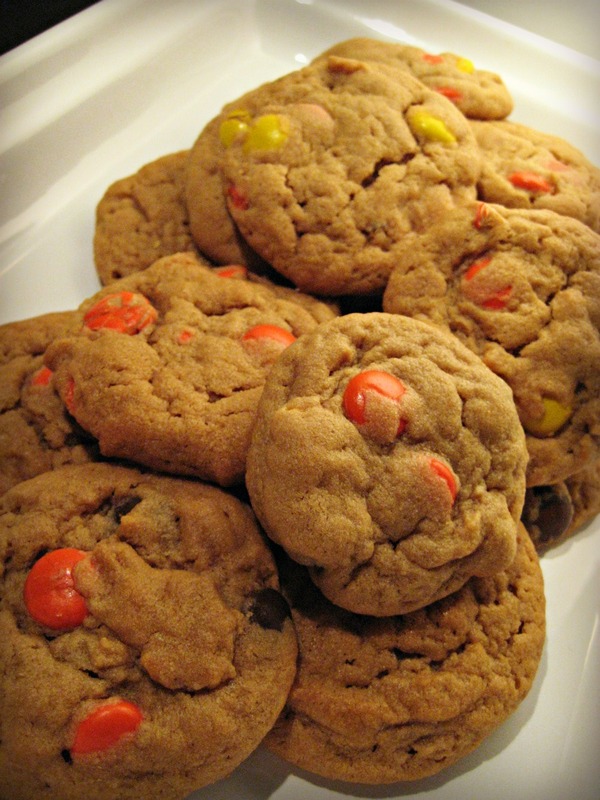 Plus, the pop of color makes them more appealing to the eye then your standard beige cookie. This recipe makes A LOT of cookies; about three dozen. So either bake for a crowd , cut the recipe in half or prepare to freeze half of the dough. In a medium-sized bowl, cream together the butter, sugars, corn syrup, baking soda, salt, and vanilla. Add the eggs one at a time, beating well after each addition. Add the peanut butter, beating until the mixture is light and fluffy. Stir in the flour. Stir in Reese’s Pieces, if using. Drop the dough by the tablespoonful onto the prepared baking sheets. Bake the cookies for 15 minutes, until they’re a light golden brown around the edges. Don’t overbake or they’ll be crisp, not soft. Remove them from the oven and transfer to a rack to cool. 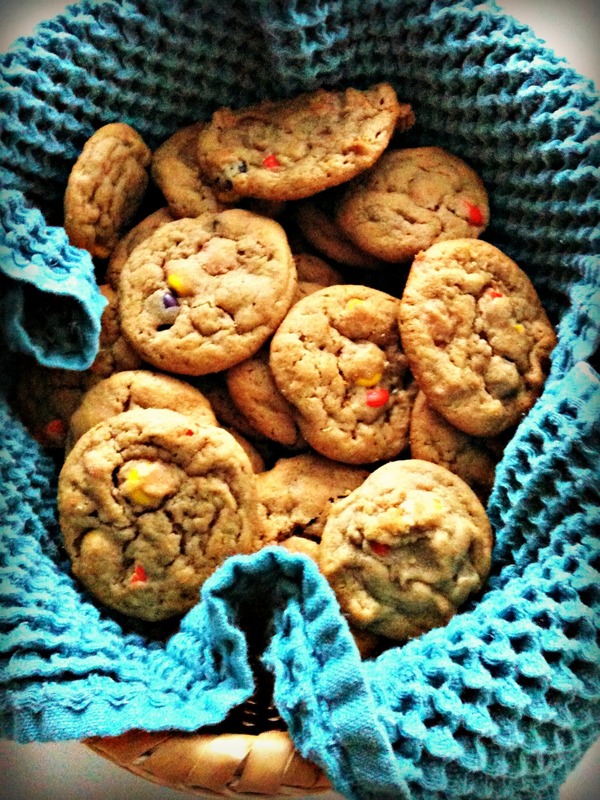 No babies were harmed in the making of these cookies. Oh my, these look like they have the perfect soft texture! I’m salivating.